Have you heard of monk fruit? Monk fruit is the fruit of an Asian gourd native to Thailand and China. This strange fruit is nearly a perfect sphere with a flaky brown casing. It may not look like much, but the fruit has been used in traditional medicine for thousands of years to treat numerous diseases and health problems. The fruit itself is much sweeter than sugar, which makes it a favorite for satisfying late-night sweet cravings with a side of antioxidants and vitamins to boot. Monk fruit has long been used in Chinese medicine to treat tumors and cancer. A study published in 2010 in the Journal of Asian Natural Products Research found that glycoside extracts similar to those in monk fruit had anti-tumor benefits in in vitro studies. To date, no human trials have been conducted, but studies seem to be suggesting that monk fruit extracts do have tumor-shrinking benefits. The antioxidant effects of the glycoside compounds in monk fruit make it particularly effective at fighting skin cancer. 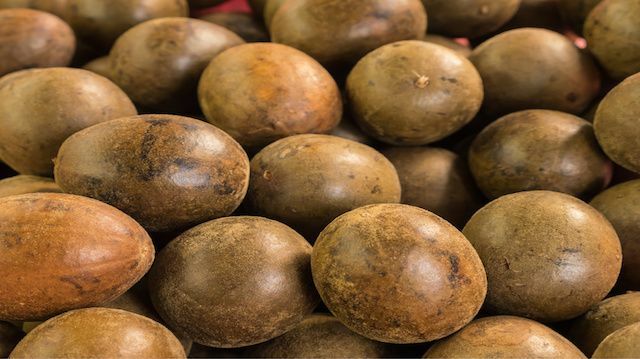 Although it seems unusual to treat diabetes with such a sugary fruit, research indicates that monk fruit has a beneficial effect on insulin and blood glucose levels in animal studies. A study from 2007 published in Experimental Diabetes Research found that when diabetic mice were given extracts of monk fruit, their cholesterol levels dropped, insulin resistance was reduced and their blood sugar levels were reduced. The 2007 diabetes study found that monk fruit was able to lower cholesterol levels. Also, research suggests that the antioxidant benefits of monk fruit work to reduce inflammation, which can lower cholesterol and prevent the buildup of plaque in the heart, reducing the risk of developing heart disease. Monk fruit contains high levels of vitamins, most notably vitamin C. Vitamin C is able to boost the immune system and fight common bacterial and viral illnesses. Vitamin C is also essential for producing collagen, which is used to make new healthy tissues, cells, blood vessels and muscles. Glycosides, found in high levels in monk fruit, are linked with a reduced activation of the Epstein-Barr virus. The antioxidants contained in monk fruit help combat inflammation both internally and externally. Antioxidants speed healing and reduce chronic inflammation that can lead to joint pain, swelling, redness and irritation. Allergies are simply an over-production of histamines, which produce symptoms like itchy eyes, runny nose and excess sneezing to remove foreign invaders from the body. Allergies occur when the body overreacts to harmless substances. One study found that monk fruit extract, when administered for several weeks, reduced the production of histamines in mice, reducing nasal rubbing and skin scratching behavior. With so many health benefits, monk fruit is a helpful addition to any healthy eating plan. If you cannot find monk fruit sold at a local grocery store or health food store, you can find monk fruit extract and supplements sold online. Brenda is a writer, chef and health nut with many years of writing experience in the alternative health industry. She specializes in health news, healthy living, alternative treatments, and healthy recipes. She loves educating others about sustainable, healthy living. Brenda lives in Texas with her husband and two daughters. Hey Buddy!, I found this information for you: "Include This Asian Fruit In Your Diet And Say Goodbye To Sore Joints And Allergies". Here is the website link: https://www.thealternativedaily.com/asian-monk-fruit-benefits/. Thank you.